Profit boost for the Volt? DETROIT -- General Motors' U.S. market share is on pace to decline again this year, just as it has nearly every year of the last 10. But GM CEO Mary Barra urges a closer look at the numbers, which she says offer proof that -- after years of talking about it -- GM is repressing that deeply ingrained instinct to chase market-share growth at the expense of the bottom line. GM's share of more-profitable retail sales this year has grown faster than for any of the other six largest automakers, figures from the Automotive News Data Center show. GM has dialed way back on sales to rental-car operators, long its favorite sales-goosing trick. Transaction prices are up, while incentive spending has remained below that of key competitors. "We're seizing the opportunity in a very strong market to really make a move on retail, because the quality of share is as important" as the quantity, Barra told Automotive News last week. "It's not size for the sake of size," she said. GM's U.S. market share slipped to 17.6 percent over the first three quarters, from 17.8 percent in the same period last year. In the last decade, GM has gained share just once: in 2011, at the expense of Japanese rivals who had their inventories wiped out by the tsunami that year. But this year's downtick is largely explained by a 50,000-unit reduction in the number of vehicles headed to rental lots, a 14 percent drop. GM's 7.2 percent retail sales growth topped all major automakers, including Toyota (up 2.9 percent) and Ford (up 5.1 percent). Even on the fleet side, GM is targeting higher-margin business: Sales to businesses rose 15 percent through September, while sales to government customers rose 3 percent. The quality-over-quantity approach has brought GM within reach of one of its key financial goals: 10 percent pretax operating profit margin in North America. It exceeded that level in the second quarter, and Barra said GM will sustain that level in 2016. Of course, in the wake of its 2009 bankruptcy, GM largely ditched its bad habit of making too many vehicles and then offering big discounts to move them. But what's making that task easier now is a steadily improving vehicle portfolio, GM North America President Alan Batey told investors this month. "Our major focus is on the retail side of the business," Batey said. "Why? Because we have got an incredible product portfolio." For example, demand has been so strong for GM's new midsize pickups, the Chevrolet Colorado and GMC Canyon, that GM hasn't been able to divert many of them to fleet customers. GM expects better organic demand and higher profits from a slew of redesigned vehicles that will hit showrooms soon. The Chevy Malibu and Cruze are projected to deliver improved variable profit of around $1,500 per sale. 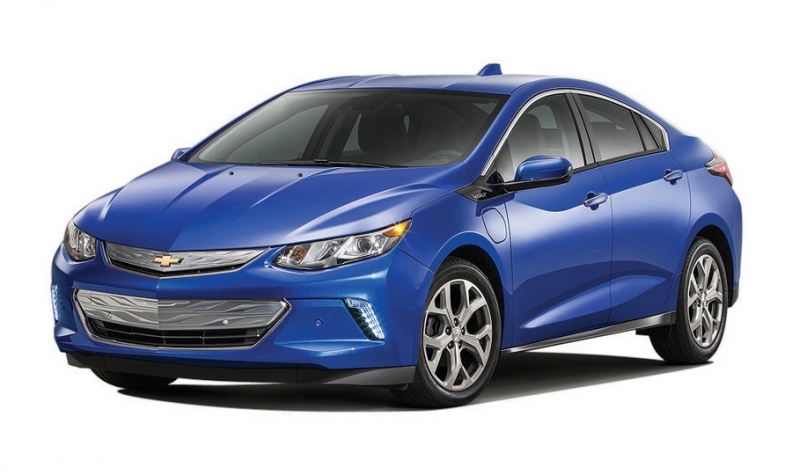 The next-generation Chevy Volt should return $3,500 more per car than the outgoing version. Morningstar analyst David Whiston said he "loves" that GM is emphasizing retail growth while reducing rental business. "It's exactly what they should have done over a decade ago," he said. Still, Whiston said, GM eventually needs to "find a floor" for its overall market share that it can build on once those new vehicles arrive. "That will require them to start taking customers from brands like Toyota and Honda," Whiston said. "We'll see."